They warn you in all the books that, although the main route round Iceland is mostly paved and in good condition, some of the other roads are no more than gravel tracks. The 2 hour journey from our hotel to our next stop, Hveragerdi, is over a bumpy track on which some vehicle with caterpillar tracks has been travelling recently. So the gravel is bad enough but the regularity of the bumps is bone-shatteringly awful. Plus it’s miserable weather: misty, rainy, cold and with such poor visibility that we can’t even ooh and aah at the scenery which I’m sure is spectacular! There are a couple of Americans, a quiet Icelandic couple and a young girl from the stables leading us. A quick run-through of the basic skills in the ring and then we’re off into the wild blue yonder! Hubby’s horse is a fearsome-looking black beast but looks can be deceiving as it’s so stubborn it refuses to keep up with the rest of us. The young instructor comes to the back to remonstrate with hubby, to my great amusement, but despite his efforts he still trails behind. The rain is now falling horizontally, I can’t see through my glasses and I realise I should have worn the wellies they provided, as the rain is trickling down my socks into my shoes.We traipse through the countryside which I’m sure looks delightful in the sun, trot through rivers and after half an hour the instructor gets us all to canter. All the horses seem to come alive at this point and we all hang on for our lives, hubby howling at the back that the family jewels are getting a pounding! I’m starting to find the whole thing hysterically funny and, despite being wet and wind-blasted, I can’t stop laughing. “I’ll give you bloody golden balls…..”, he replies rather tersely. Thank you for linking up with time Traveller, I've really enjoyed this step back in time. This sounds incredible, grumpiness or no. 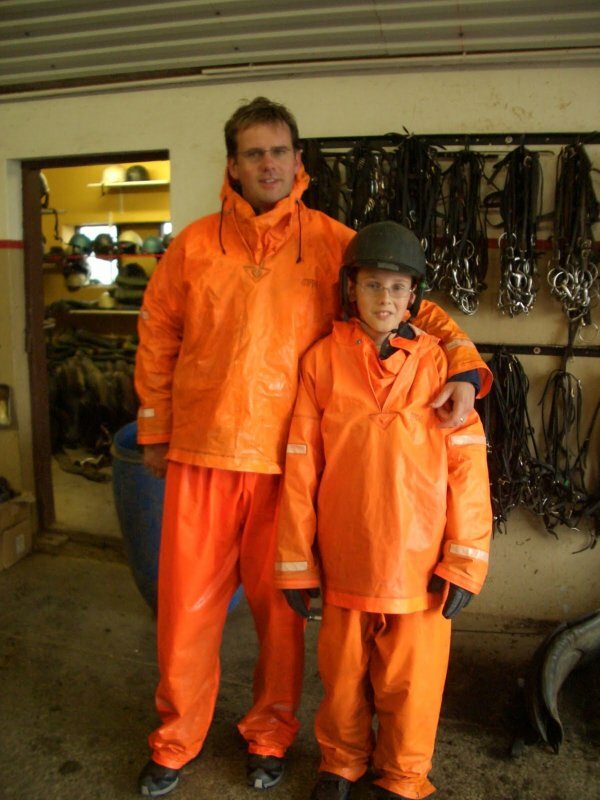 Personally I love horseriding – and I'm sure it would be a splendid experience in Iceland – but I could live without those fetching orange suits….